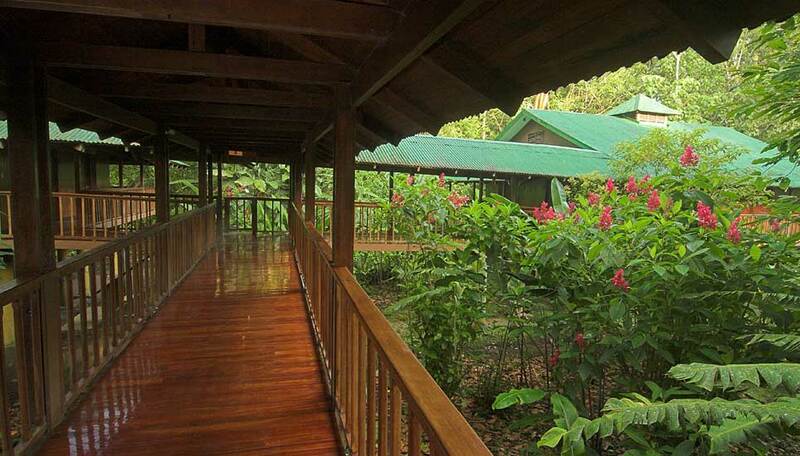 Selva Verde Lodge provides easy access to the natural wonders of the rainforest. Selva Verde Lodge is open year round. 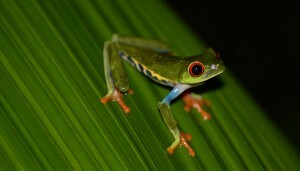 Selva Verde is not just a lodge in a rainforest reserve. It is a gateway to some of the most accessible rainforest in the area, but it is also a place where you can immerse yourself in nature and learn about conservation. 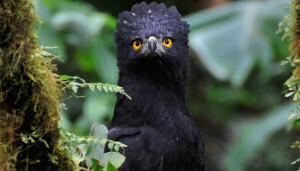 Selva Verde, a pioneer in eco-tourism, is a nature- lovers paradise and attracts hikers, birders, wildlife enthusiasts and adrenalin seekers alike. It is an eco-lodge in the true sense of the word, here they are committed to a sustainable future for the wildlife, the flora and the people of Sarapiquí. The buildings and walkways are elevated allowing you to explore the 500 acres of tropical primary and secondary rainforest with minimal impact. Relax in simple, but comfortable rooms, soak up the atmosphere of your surroundings, you are a stone’s throw from many adrenalin based activities that are on offer. The lodge has two restaurants serving local and Mediterranean food and there is a pool for cooling off, alongside a shallow pool for younger children to enjoy. Catch up with other guests at the bar in the evening and share your experiences. Why go to Selva Verde Lodge? 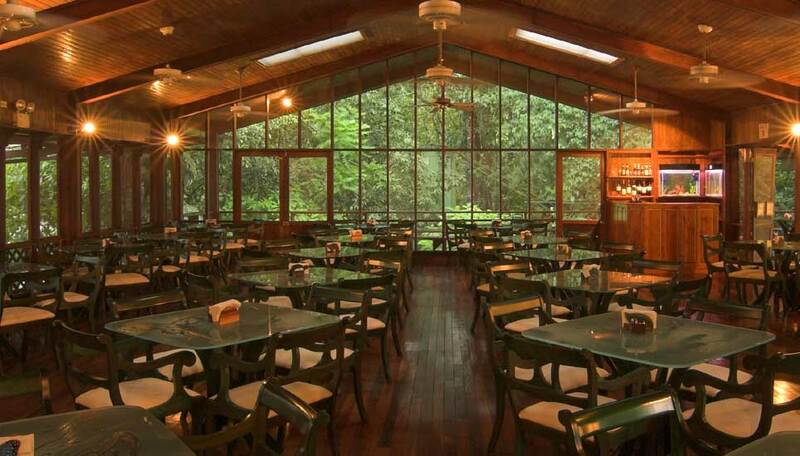 Just two hours from San José, the lodge is in the heart of the rainforests of Sarapiquí. There plenty to keep you busy. The area surrounding the lodge is a rich, verdant rainforest reserve and you can explore this at your leisure or with a knowledgeable guide. Close by you can take advantage of the river and go white-water rafting or explore the area on horseback. Selva Verde has so much to offer, take a cultural tour and get to know the local community, visit one of the local schools and see what life in the region is like for the locals – there are so many different levels to Selva Verde. Situated amidst luscious rainforest Selva Verde is of course a haven for birdlife, you can see plenty from the your room and the main areas, but venture out a little further on one of the hiking trails and you are likely to come across much more. It is a home to over 300 species of birds, 120 species of mammals, sloths and howler monkeys amongst them, countless frogs and iguanas and see how many of the 10,000+ species of insects you can spot. 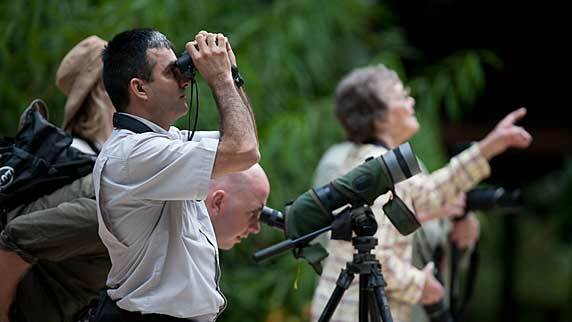 There is plenty here for wildlife enthusiasts to see. Internet access is sporadic, a computer is available for guests. 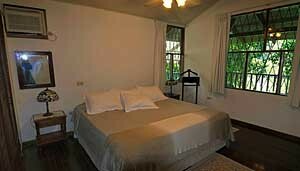 There are a total of 40 River Lodge rooms, 4 bungalows and 1 suite. All the rooms have en-suite facilities with solar powered hot water, ceiling fan, safe, telephone and a hairdryer. River Lodge Rooms have two double or two queen size beds. Each room is set in a block of 4 surrounded by a veranda. There are chairs and hammocks to allow you to relax and enjoy your surroundings in comfort. Bungalows (see note below) are found via a 10 minute scenic walk through the botanical gardens. As well as the facilities of the river lodge rooms, the bungalows also have air conditioning, a spacious and screened balcony, bathrobes, coffeemaker and a refrigerator. 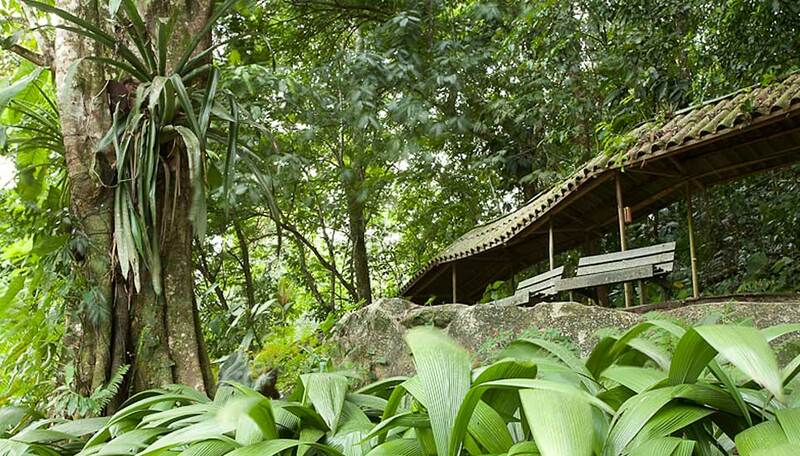 Built in the rainforest, these rooms are a private refuge. 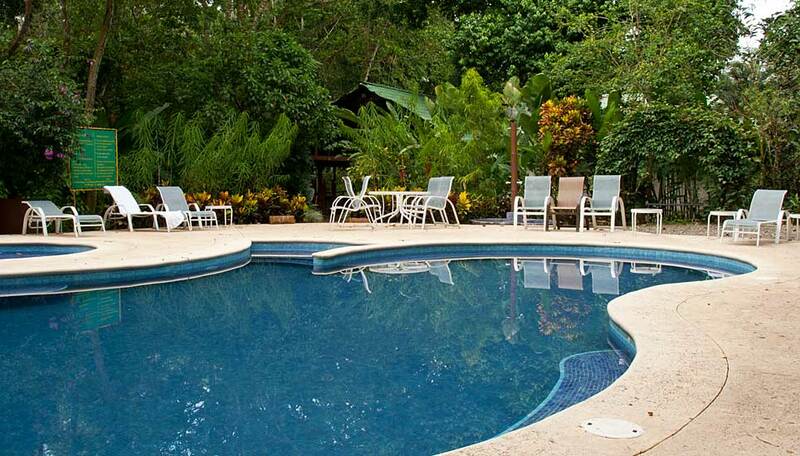 The Casona Rainforest Suite is a great option for families or a small group. It has two bedrooms, two bathrooms, sitting room, a large kitchen, washing machine and dryer, air conditioning and a private veranda with river views. Please note the bungalows are located about 600 metres from the main lodge building, across the road, and are set on a steep hillside, so are not suitable for client of limited mobility or those desiring to be close to the communal facilities. Children under 6 stay free. Children 6 and over pay US$ 20. All children from 0-11 must share a room with an adult. Children 12 and older pay the adult rate. WiFi is intermittent, but there is a computer with internet that is available for guests to use.